The coaching is terrible. Garrett/Linehan should have been fired 3 years ago. But...Dak isn’t good. His awareness is exceptionally bad and he is one of the most inaccurate passers in the league. He had about 6-7 throws that he failed miserably that any of us could make. Pair that with an incompetent coaching staff? It’s an absolute disaster. I think you can make an very good argument that Dak has a bottom 3 worst weapons in the NFL all with the least innovative/incompetent/overrated coaching staff in the NFL. And then people wonder why he and/or the offense has digressed. It's amazing that people forget Dallas, under Dak. was one bone head-defensive play away from being a game out of the SB. All with Dak leading the way. Maybe Dak isn't the type of QB that can carry a bad team very far (how many can??) but judging Dak or any other QB under these circumstances is ridiculous. Did you see that throw to Jarwin in the 1st half? Name me your top five quarterbacks in the NFL now or all time and I'm sure I can get video of piss poor throws. Sure. Throughout the year maybe. Dak does it every game. Multiple times. That’s a very fair assessment. I think this season will be a better indicator of his ability now that he’s without Baker Mayfield at QB. I’m always leery of college coaches whose base offense is the spread. I know that it’s being incorporated more and more into the NFL, but it’s not there yet. He certainly looks the part of a brilliant offensive mind, though. 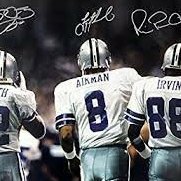 The problem is we have 2 more seasons with Dak then we have to start looking at hos total body work in order to make a decision on contract extension or franchising. How would you all proceed with that as it as it stands right now? As much as Dak has regressed, I do wonder what could be if he had a real QB coach and someone that could help him develop. He was a 4th round pick for a reason. In an ideal world Tony would still be the QB. If he continues to regress, I think you have to move on. Only other option is a new coaching staff who sees something in him and could help him. No chance. He does not get better from here, only worse. I feared this and put it in writing only 3 weeks ago. You can't teach accuracy. You can mask it, get a favorable pecentage perhaps, but it is something you either have or not. Trouble with Dak, outside of his accuracy, is that defenses have him figured out. Get him flustered or on the run to his right and it is either a turnover, sack or missed pass. What is really messed up is that our coordinators can't do anything to change it. Delayed draw, bubble screen, quick slant, etc. Draw them in, go right over their heads. It helps to set up deeper plays. But now we have accuracy issues. I think Dak can be a good QB in this league. I just don't think Garrett and this offensive staff are the coaches to get him there. Dak can be a good qb when everything is right around him. A qb who needs everything else right in order to just be good won't cut it in the NFL. When things arent right you get under 200 passing yards and an inability to function on offense. If we miss the playoffs I say we trade Dak for whatever we can get and then let our next coach have say in whatever new qb we draft. That's more on coaching and scheme than Dak IMO.In the meantime I just saw one of the top paid QBs throw for 4 picks.